sms origins showreel vimeoUpload1280×720p from Josephine Starrs on Vimeo. 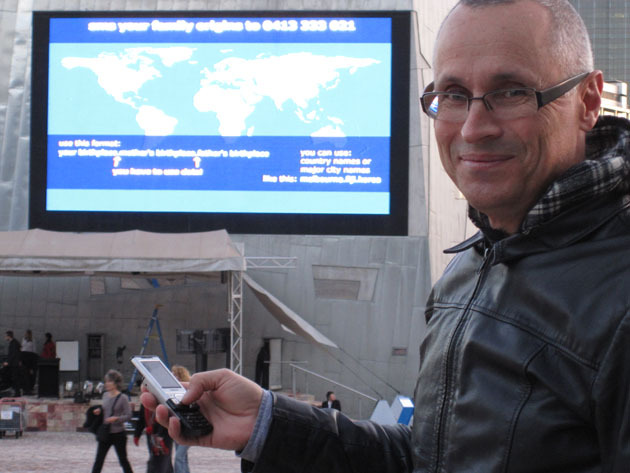 Participants sms their own and their parents places of birth to this number and linked curved vectors are added to a public map that updates in real time as it receives texts. 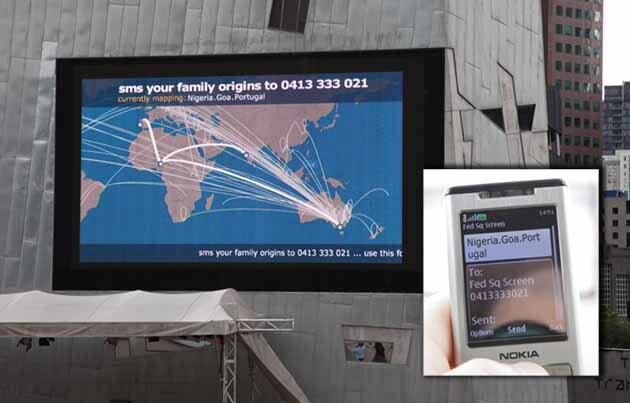 The map is not static, texts are displayed in real time, while the map zooms in to the countries of origin and animated vectors connect the locations. As more people participate the map grows to include accumulated vectors. 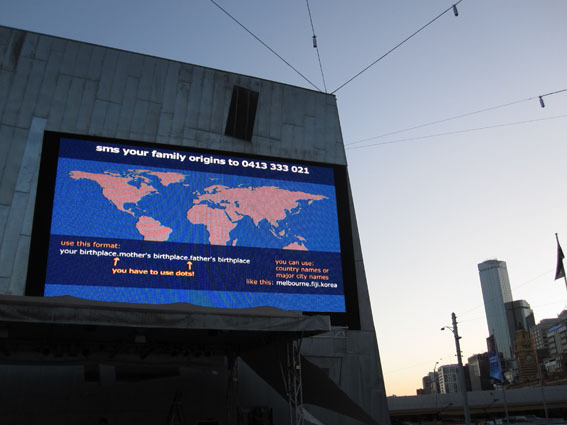 Presented by Fed Square, Art Center Nabi and The University of Melbourne with the assistance of the Australia Council for the Arts.